For a while now the boys and I have been working on their little surprises they want to have ready for daddy. I try hard to have them put some thought into their gifts but make it fun too because their daddy is a fun-loving guy. He usually ends up with some pretty interesting things! Having a list of questions to ask kids about dad at any speaking age is fun to see what they come up with. 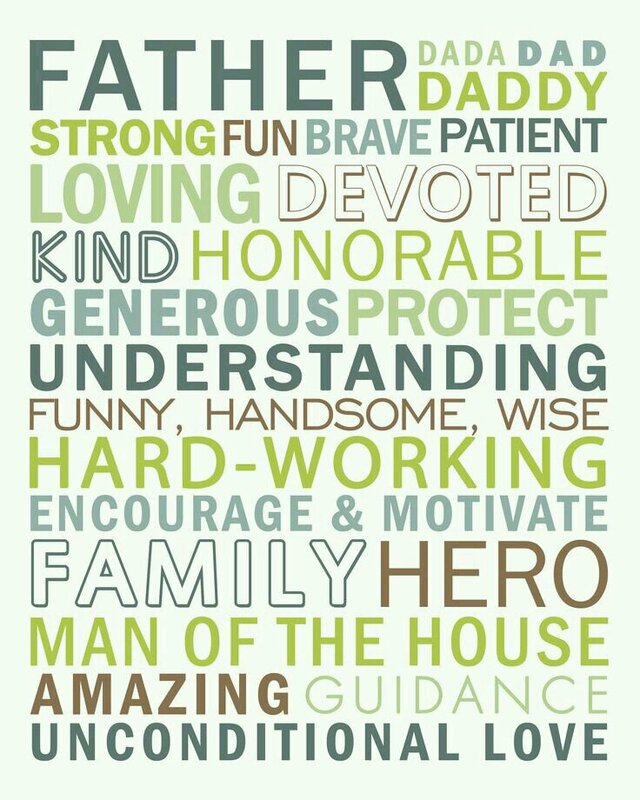 Of course, I live in a house of all males so you can only assume some of the answers on a Fathers’ Day questionnaire are going to be filled with potty humor. Apparently it never gets old to them, imagine that! I would like to acknowledge all those hardworking dads out there. Even when you come home exhausted from a long day at work, you still muster enough energy to play with the kids. Thank you dads for being so thoughtful to ask the kids about their day because you truly wanted to know what you missed while you were gone. You are making memories with the kids each time sit down to talk or play. You are showing them love with hugs, it will leave an everlasting impression. My boys are all mommas boys of course (for now at least), but they adore their daddy too. When he is home they follow him in hopes to get a chance to help him do something- anything amazingly great with DAD! From fixing a broken toy to grilling hotdogs on the grill or mowing the lawn, Dad rocks! Dad is even a superhero at our house when he brings home a rental car, might seem a bit sad I know.. but these wonderful kids remind us to get excited over the little things! How about those dads who are stay at home dads? Holy cow, you ROCK! I offered to switch places with my husband, so he could stay at home, raise our barely 2 yr old son (before we had 3 boys!) and I would go back to work full-time. He said he was pretty sure he was not going to be able to do the Stay at home daddy thing. I love staying home with my boys, still do and I bet Stay at home dads do to! It’s the most challenging, yet rewarding job ever! Dads you guys are amazing. Thank you for being at home with your little ones. Handling the cleaning, cooking, diaper changing, snotty noses, book reading, temper tantrum throwing, playground groups … oh so much more. 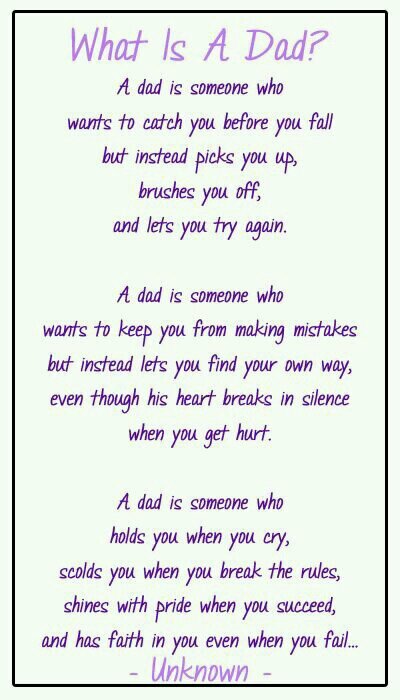 Dad’s providing LOVE to their children, GUIDANCE when needed, being PROUD of their children for accomplishments and COMFORT if you fall. Yea! It’s summer break! Woot Woot. I’m way too excited.. way.. way.. too excited. Seriously, no sarcasm here. Hold that thought! My dear sweet, sweet angels, school just let you out for summer one week ago and so far you have been on a road trip during half that time. For the past few days my sweet, sweet angels have sat on their bums and watched TV and played Legos. Did they go outside when the sky cleared of rain.. yes! For about 20 minutes and I received the “do you know the temperature gauge says its 100 degrees outside? It’s way too hot for us to be outside” as they dramatically go for gulps of water and get comfortable on the couch. Oh heck no! We are NOT starting the summer like this! I was not mentally prepared for the everyday – “I’m bored” whining, back talk and temper tantrums. I do believe I picked up the wrong children some days! Who are these boys?? They look like my sweet babies and there are moments during the day where I get a glimpse of them but then they disappear. I think they are suffering from withdrawal from school, maybe I should start mini classes in the morning- at a decent hour after I’ve had my coffee of course- and then they can learn things like how to organize bills, create grocery lists on a budget based on meals we will make! Before long I can micromanage my children to run this house! haha.. yea that’s not going to work, but it was a nice thought at first! Here’s my frustration with my little love munchkins – who need to learn to deal with boredom and let mommy take care of her long, long To-Do list – I don’t feel the need to entertain my kids every second of the day. I know it’s “their summer break” (yes! someone actually said this to me as if to make me feel guilty that I still needed to run my household instead of plan out their entire summer), as I pointed out so eloquently to my 9-year-old the other morning, summer means no school until mid August – there is it, that’s it! You can sleep in a little later (which he doesn’t by the way, none of them do – that will change right? My mom laughs and says ‘Yes and then you won’t be able to get them to wake up when you want them up’) and stay up a little later at night, but I am not planning on running you around town and visiting everyone we know EVERY DAY just so you have something to do. I have to get things done, then we can do something together, I promise. It is still early in the summer, with mommy and daddy’s schedules just as busy as they were during school time, I know they are frustrated with all this free time. It’s not like I left them hangin’ with nothing to do! It may not be running to the park every afternoon, museum, movies, vacations, etc. every week or a new adventure every morning but eventually that will exhaust them. (even if they don’t believe me) I have my limitations health wise right now and they “know” that but they don’t understand how that exactly impacts them in the long run I guess. I do my best while daddy works, glad we have lots of family close by and they love the attention, crave it almost. We will have a great summer break, maybe some small adventures with those closest to us but they will make some of the biggest memories! My kids’ idea of summer needs to come back to reality – let me help ya with that, sha! Summer is for relaxing, I will not be stressed – WE will not be stressed as a family! We will learn to love this time of the year with each other and the journey we will take every year. Breathe momma, no pressure right? haha! Until next time! Following along by signing up with your email address to get updates on the next blog post! Feel free to leave comments, or share this post! Follow me on Facebook, Instagram, Twitter! Summer is here and it is time to break out the suitcase! We have our first road trip coming up this summer and it’s time to start packing! We will be driving, fitting 5 people inside a vehicle for 5 hours takes nerves of STEEL people! Especially when they were little, potty training, breastfeeding, etc… (shiver) oh man looking back makes today seem like a breeze all of a sudden! How did we do that back then?! We made a 14 hour trip in a car with a 3 month old while I was still exclusively nursing (we made this trip multiple times throughout the years by the way) and we did it without blinking an eye. Amazing! (Love you GMC) Of course, each time we stopped to take a break I was unbuckled and feet out the door before the car was at a complete stop! MOMMY NEEDED ALONE TIME, DADDY’S TURN! Here’s the part where public restrooms come into play (If you missed my post about Little Boys and Public Restrooms , check it out! ).. I do NOT care for them, but I would gladly RUN to them to find some peace! It was interesting how my husband was always so sweet to drive the whole time, never complained. I guess driving long stretches seemed easier than trying to calm little babes in the back seat, HA! Today, my boys are responsible for packing their own entertainment for the trips. Of course, I still have to send out a reminder of WHAT would make a decent entertainment! Maybe even an inspection of what goes INTO the car before it gets packed. No, no.. please do NOT bring the light up, siren wailing firetrucks that is half as big as your are in the car to play with.. can we bring a book or two? No, no we cannot bring the Nerf guns in the car and definitely not the play lawnmower. Granted he is 3 years old, he still needs pointers and I think some of the suggestions *cough, Nerf guns, cough* were from his big brothers maybe, who knows – I am positive they will deny it. There are a few in the car games I like to try out like license plate bingo, Truckspotting or Would you Rather? Another must have for our trip for my buddy is these Sea-Band Wristbands! I used them during all three pregnancies, helped slightly for me. My son always asks for them when we get into the car, so it must help him if not at least provide some comfort if anything! If all else fails I keep plastic grocery bags stuffed into a Tupperware container, along with wipes and extra set of clothes. No matter how hard we try to prevent, some times it just happens. SNACKS! Yes my boys’ favorite part of any outing! Such a guy thing right? FOOD! Now that they are old enough (except Little Bit needs assistance here too!) I have gotten to the point where I make each of them a brown bag with their name on it and fill it with snacks for the entire trip and they are in charge of their own snacks. (I get tired of being asked every 15 minutes for a snack) All wrappers and juice boxes go right back into the brown bag when finished. Snacks are usually planned out like crackers, Fruit Snacks, trail mix, raisins, etc. They always have their water bottles with them so if they have a juice box it’s for lunch time and they know not to touch it or they won’t have anything to drink at lunch. I have fruit and veggies in a cooler that I hand out during times when we stop to stretch legs and run off some pent-up energy! Lately we are keeping a football or baseball in the car (#boymom!) I check on Pinterest to see what other mom’s are doing to keep their kiddos busy in the car, Follow my Pinterest Board Oh The Places We Go! because there’s always some neat find or fun traveling find I will pin into that board. If you have any suggestions SEND THEM MY WAY! I would love it! So when it comes down to picking out the outfits for the week and fitting everything into bags/suitcases, who does it in your house? Does everyone have equal say in what they wear and how they pack or what they bring? Or does Mom carry that burden all on her shoulders? I would have raised my hand a year ago or so, but I am slowly but surely giving up that stress! That’s all it is, unless we are going to a particular event such as a wedding, I do not care what you are wearing. I seriously don’t and no my boys are not walking around in dirty mismatch ripped clothes, I at least wash them silly! My 3-year-old picks his clothes out daily, why can’t he pick his clothes out to pack too. He actually is pretty good at it, I try to give advise but some times comfort wins out over what matches. In the past I have made the packing lists with pictures of shirts, shorts, socks, etc. to help them learn to pack but that really meant I was doing it while they checked it off the list, woohoo making progress! Then we just started to talk it out using a calendar and marking the days we will be gone and what clothes we would need depending on the weather. That was more interactive and they remembered more the next time we packed. So now if I were to make a list for each of the boys (we travel to visit family often so they have it down pat now) on what to pack for each day and night, it’s to help signal their completion of an assignment. They know how to stack/roll their outfits together for me and set them out on the bed so, I can put them in the suitcase. I have learned to pack a suitcase like a champ! Fit a family of 5 into a tiny suitcase – no problem! Thank goodness I have all boys or there would be bows, dresses, skirts, leggings, etc.. nope I have the shirt shorts socks.. done. #BOYMOM My husband more or less packs for himself now too, go you honey! Now if I could get him to not wait until the last second of the last day, THAT would be nice. Small steps. I think once we have all gotten back into the traveling together groove, things go smoothly and we have more fun. I pack the way I do so everyone can easily get to their clothes quickly without tearing apart their suitcase. I will have to take more time to break that down one day! I think the inside of the car is always a different story so any tips are welcome! Hope you are planning your first summer trip soon, stay safe. Until next time! My kids love Legos, if they could spend their entire day playing Legos I really think they would! The elementary school they attend has an excellent after school program where once a month they meet for an hour and a half to complete Lego Challenges. It’s a kid’s dream, bins and bins of Legos lined up around the library as they are sitting in a semi-circle around the librarian – who runs the program. She announces the challenge for the day and they run through that days challenge, for example – the challenge could be to build a vehicle with 2 wheels, but it has to have 2 passengers, at least 25 Lego pieces and 1 pink Lego. Parents are there to participate with their kids and you have 60 minutes to complete your challenge before the children are to present their creations in front of their peers. Now that school is coming to an end, Lego club is over and the boys are begging to start our summer Lego club at home. Last summer once a week or so, we would get together with my sister and her crew for Lego club at home and it was a fun experience for all, good time for us moms to get together and chat while the kids create! Hoping for our group to grow this summer, the boys and I spent some time over the weekend making a list of possible challenges for the summer. Hoping to make it more of a challenge for the older kiddos I found some Maker Space Lego Challenges on Pinterest. Follow my Lego Challenges Board on Pinterest, I can always find fantastic stuff on Pinterest to guide us when we have trouble thinking up new Lego Challenges. Feel free to send me any ideas you find! You can find me on Facebook, Instagram, Pinterest or Twitter! Don’t forget to sign up with your email to receive notices when there’s something new going on with the blog! Looking forward to getting the weekly Lego challenges started and posted! My Kids’ Favorite Backyard Toys! We are so lucky to live in a house with a nice size backyard! Gives the boys lots of room to run off the energy they seem to have in abundance. Along with the roomy backyard we have a large oak tree with the perfect limbs for a tree swing – which has been recently gifted to the boys by my parents. At first they were skeptical about it – they did not enjoy the swings we already had in place in the backyard after all. Why? I don’t know, too sedate? Too kiddie? Who knows! After a few warm and sunny days, they were testing the limits on how high they could fly each other on the swing! Oh. My. Word. I think at first I was excited and then quickly decided rules needed to be in place for my boys! Oh, how quickly they take things to the next level, those rascals! Lately I have seen them take their books outside to read or just lay on the swing and stare up at the swaying branches while enjoying the quiet time. They each enjoy their moments of quiet time on the swing without distraction as much as they love to test the limits of how high they can go (without flipping each other off) or how many can fit on the swing without breaking it. (I can sit snuggly with the older two.. for now) It is relaxing for just me too! Honestly, we all get some enjoyment out of it, I love the smiles and the laughter from the backyard (the arguing over who’s turn it is – I could do without that but let’s not get too picky shall we hahaha) If you are curious, click on the Amazon link below and check out the details! 40 INCH Swing Round Net Swing Spider Web Swing Playground Swing – RED – 40 inch Diameter – Safe & Easy Mounting to Trees or Existing Playground. Another favorite toy in the backyard are the Toobeez! They come with instructions, but using their imaginations they create forts, cars, space shuttles, houses, etc. in the backyard. We have two sets and they are very sturdy to go through play time with my three boys. It reminds me of Tinker Toys – the LARGE yard ones from the 80’s that you cannot find anywhere (yes, yes.. I just AGED myself – disregard that!) They clean up nicely, comes with its own zip up bag (love that! Because seriously all those yellow balls rolling everywhere would drive me insane!) We started out with this as an indoor set, but they have too many toys and not enough room to build, so we took it outside. They hold up well for us so far. I also included a link below if you are interested in learning more, go check it out! Don’t forget to sign up to get emails for upcoming posts on the blog and check out BoyMomAdventures on Facebook, Instagram, Pinterest and Twitter! Ever notice how we all put SO much emphasis into just one day for Mothers? Why one day? I read a blog post by TotallytheBomb.com click HERE to read it, (I came across it through a fellow blogger’s Facebook page – @QuirkyMomma.) I can actually relate to her blog post in a lot of ways over the past 9 years. She talks about how we build up Mothers’ Day to be this ONE day where mothers can sleep in, relax and not do a thing, but for some the reality is that while it is a celebration, you are still cleaning up after everyone and resuming the mommy chores for the day as if it was a normal day and at the end of it all you feel let down. It’s a dream for some moms to have a day of spa treatments with a drink in hand while everyone else does all your work for you. As if to say, congrats mom take a load off today pamper yourself and let us do all the work (ME! ME I would like that, at least that drink part) but reality is, not everyone gets that. Plus,the cleaning part would still be waiting for you the next day anyway. This is not the worst fate for a mother by far, I love the handmade cards, gifts they made themselves or breakfast made by themselves. When the kids were too little to be able to do things like that themselves, I would just dream of the day when they would come home with a drawing for me (sounds crazy huh.. I should dream of diamonds or something right?) There are some mom’s who get that pampered day, but why wait for Mothers’ Day to get it, right? I look around my house and I see the evidence of my kids’ love. My oldest loves to write me notes from his notepad (think old school paper not an electronic) and leaves them for me – usually at night for when I get to bed or when I’ve had an extra rough day. My middle child will write short notes, draw pictures or lately he’s been into quick post-it “I love you” notes. Their notes or pictures are all around the house and I love the reminders that they do love me (even when they shout something that sounds different in an angry voice). I get to spend one on one time snuggling with my Little Bit everyday and playing games with him or helping him learn ABCs. Granted things are WAY busier and times are harder or just different back when we only had one child, but everyday I am blessed to still be able to be a stay at home momma to raise them how we want, so I need to put my FULL attention on that 24/7 job. The days are busier now with three kids, so they fly by even faster! I have to remind myself constantly to SLOW DOWN, that load of laundry or sink full of breakfast dishes can wait a few more minutes while I play trucks or Lego with my kids. How many more times are they going to ask ME to play? Soon they will be busy with after school clubs, sports and activities with friends as those fill up our calendar with three boys! On this Mother’s Day, I’m not going to worry about being pampered or put my feet up with a drink in hand. I’m going to reach for the little hands that want to hold mine or want to play trucks again. I snuggled with my Little Bit who crawled into bed with us last night – would I have liked to not have some little ninja kick me in the back or take up half the king size bed? Well yes, of course! But then I would have missed out on the sweetest of snuggles in the morning. Staying in my grandma’s house for the weekend I needed to clean the sheets and towels we used (sorry grandma I know you told me not to bother with it, but you know I can’t leave your house without cleaning up after my family) Did I still get a wonderful breakfast made for me? Yes I did, thank you husband of mine. I opened my beautiful handmade gifts from my boys, some brought tears to my eyes, and I am sporting my new Boy Mom shirt from my husband. Now ready for our day ahead to celebrate with two important women in my life, my grandma and her sister (she’s like having another grandma to love!) before driving back home to hopefully make it in time to give my wonderful mom a tight hug and thank her for being my mom! Hope today was filled with memories, happy tears, the sweet sound of laughter and smiles from everyone. From my heart to yours mommas, Happy Mother’s Day! As a mom of three boys who are all three now fully potty trained ( as in they no longer require diapers – I didn’t say they could aim very well!) when we are out in public without daddy, they go to the restroom on their own. Well.. except to the dismay of my youngest who is trying to keep up with the big guys and do what they do.. but nope he has to go into to the girls restroom. Trust me buddy, this is WHY we go pee-pee potty before we leave the house! As for the oldest two, yes boys you are on a timer and mommy will not hesitate to come into the BOYS restroom to drag you out. (sorry guys! but if you see a couple of boys in there by themselves playing around you’ve got to know their momma will be comin’ in lookin’ for them sooner or later!) That being said, I wanted to share some funny stories of public restroom instances we have run into that made me wish we stayed home. First, let me point out that I don’t care for public restrooms, not saying that the following restrooms were not clean (they definitely were!) but I just have a creeped out factor about it.. I’m weird like that, I would rather wait until I got home. My kids on the other hand, they were sent from God to break me from this weirdness of my dislike of public restrooms because EVERY place we seem to go to.. someone HAS to use the bathroom. I kid you not! I almost think they have a weird fascination with the bathrooms!! It has to be a guy thing! I blame my husband and his unnatural fascination for the Buc-ee “cleanest restrooms”, so he says.. we stop on each road trip. Men are different creatures ladies, I am sure you can agree with me. Mind you it’s a library! She’s yelling through the bathroom door by the preschool section and her son, poor baby, had an accident. He came out embarrassed and she was walking him out the doors at a quick pace, I’m trying not to laugh (bad me!) because well… it was funny because I can imagine this being me SO much and just as I am thanking God it’s NOT me.. my kid walks up to me with a serious look on his face. I raise my face up to God and thank Him for the reminder not to laugh at a fellow moms stress, because here it is staring at my face. My kid had to go poop! So I point to the just vacated bathroom, but freeze thinking maybe I should go check the shape of the bathroom! (remember, I’m weird about public restrooms, I’m. different. like. that.) So.. now my youngest takes note of what’s going on and he’s thinking yeah that’s a GREAT idea I have to go potty too! So I am walking both boys to the bathroom I see my eldest son and I motion to him, like a coach trying to get his baseball player to steal second, what our plans are so he doesn’t panic at our absence. Arriving at our destination – boys bathroom (private by the way) – and I swing the door open and immediately Little Bit runs to the toilet to pull his pants down! Yikes! Slow down kid! I usher my son in and now we are all inside the boys bathroom with the door closed, I feel like I just dodged a bullet there just to turn and get a strange look from my son. I’m like, what?! He says, “mom, I can’t go potty while y’all are in here!” and I told him he could go in the girls private bathroom next door, no one was using it. WOAH! Yea apparently he’s at the age where that’s not OK to do anymore, because it says girls on the door, my bad. So Little Bit finishes and I usher him next door to wash his hands and leave the other one to his privacy. Geez.. such an ordeal! What happened to “if you got to go, you got to go”? I have so many stories from having all three in the stall juggling an infant carrier & potty training to learning to handle my littles being afraid of the automatic hand dryers (those things are loud to little kids, let alone scary when they are built above their heads and blowing hot air right above their heads!) I’m sure there will be more to come as they get older, Heaven help me! Do you have any stories to share? Feel free to share, either leave in the comments or email me directly! I would love to hear from you! Until next time! Don’t forget enter your email address to get updates for new updates on the goings on over here!